I really enjoyed being able to read a different genre of book from an author whose work I particularly like. 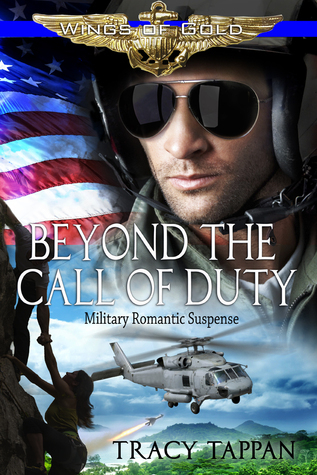 While I wouldn’t necessarily go out and buy books in the military romance genre, I did quite enjoy reading this book. I did get a bit confused at the beginning, where the book shifted back in time without me really expecting it to. I did like both Eric and Nicole as characters, even though I thought their relationship did move a bit too fast. It was nice to have the opportunity to learn about both of their histories and family. I thought they both came across as interesting and well-rounded characters. I did think that Nicole was a bit too hung-up on her own appearance. If it was mostly in her head, it made her come across as quite self-centred. If it did actually happen… I’m not sure I liked the implications of every guy finding her attractive. Though I did think Ryan came across as a bit of a jerk at times. I like Kyle… Mikey… Hammond… I’m not sure which of those names actually belonged to him. But I did find him an interesting character, despite the fact he came across as a jerk some of the time. I thought his relationship with his ex-girlfriend added a new dimension to his character… and I found myself really caring about him when he ended up having to fight for his life. I did think that the story was a little disjointed at times and it was difficult to follow everything that happened. I also would have liked to see a bit more of the minor characters and their relationships to the main ones. I liked the fact that Nicole did come across as a strong female character, even though she felt men only saw that she was attractive. I also thought it was interesting to see the way she and Eric had to work together and the problems that kind of undercover work raised for both of them. I was glad to see that there was a lot of terminology used and I’d like to read Mikey’s book in the future. This was quick and easy to read and I did very much enjoy this book. I definitely hope to read more books by this author in the future.